Paddle boarding is an excellent hobby for those who are into extreme activities and for those who can’t get enough of the ocean’s waves. Any boarder should know that the main star of this unique hobby is the paddle board itself and that’s why the most devoted people go through extensive lengths to make sure that they are well-equipped when they are out with the waves. There’s a lot to consider when buying a board including its manufacturer, the materials used and whether or not it is received well by other users. Another important factor buyers should know is whether or not the board is the right size for them. For the big boys out there, we’ve selected some of the best paddle boards for heavy guys that are just the perfect size. 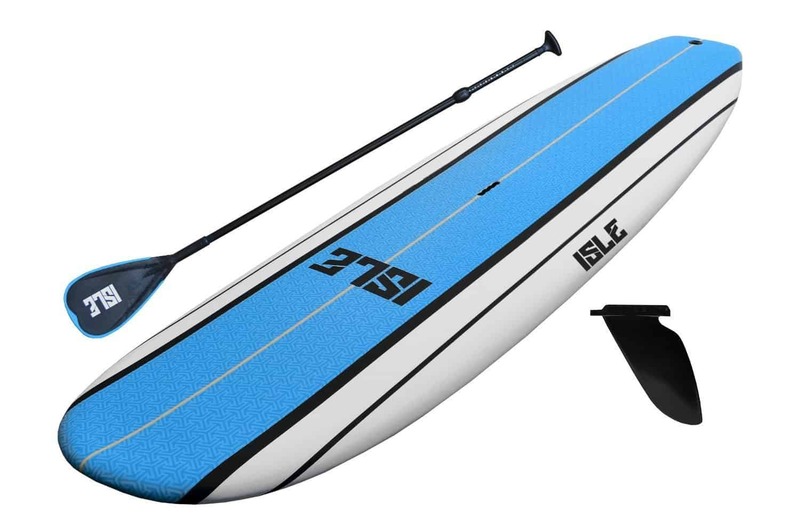 Yet another piece from ISLE, the Airtech Inflatable Board is built for speed, touring and races. This board has a weight limit of 275 lbs. it will be able to carry a full-sized adult who is a little on the heavy side. The best part of the ISLE Airtech Inflatable Board is that it is sturdy and made from only the best material. It can withstand anything from a strong wave or bumps from hard surfaces. Its durability is one of the key selling points that ISLE uses to advertise the product. Despite its durability and weight capacity, the ISLE Airtech Inflatable Board is light and very portable after weighing at just 20 lbs. only. Additionally, the board comes with bungee straps. These can be used to load the board with other neat pieces of gear that are necessary for the activity. 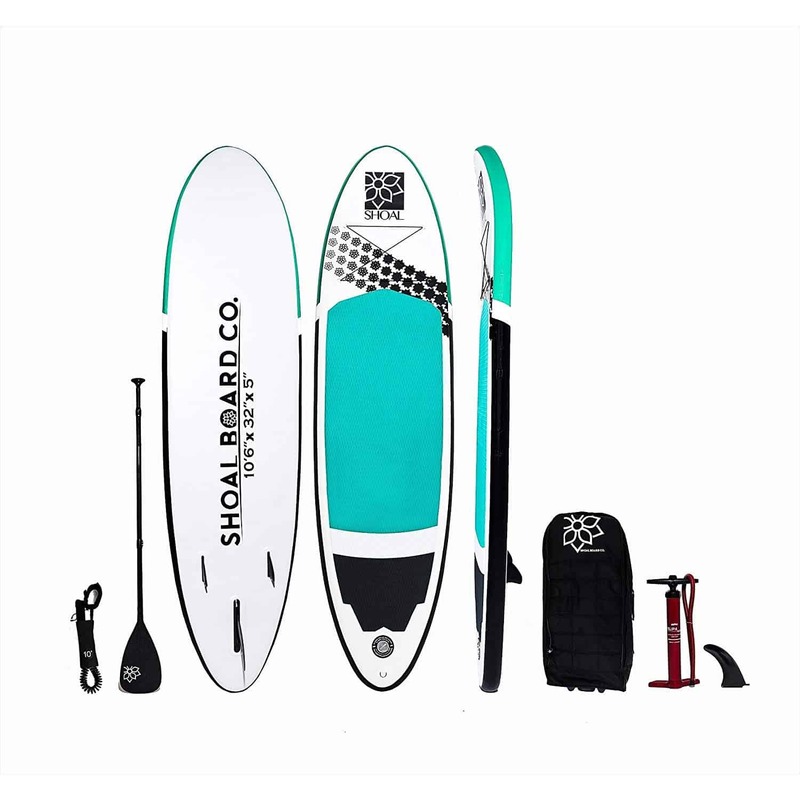 The Shoal Inflatable Paddle Board comes with the works including a pump, carbon fiber 3 piece paddle, leash, patch kit, and even sometime a water thermos. It takes about five minutes for the board to get fully inflated and it takes less to deflate. Despite being an inflatable, this board is sturdy and can take a ton of hits. FYI, I personally have one of these myself. By its dimensions alone, the Tower Xplorer Inflatable SUP Board is obviously made for the big boys. It has the highest weight capacity for any board in the market at 700 lbs. While we’re sure that no 700 pounder has ridden this bad boy before, the extra weight limit will allow riders to carry extra stuff on board like a backpack or other safety gear. Really ideal for heavy riders. One issue with this board is that it is relatively large. It is 8-inches thick and 14-feet long. The good thing is that it is inflatable so it carrying it around will not be a problem. The huge surface of the board makes it possible and easy to bring a dog or a kid along for the ride. It can also be used as a training board for newbies going to the water with experts. 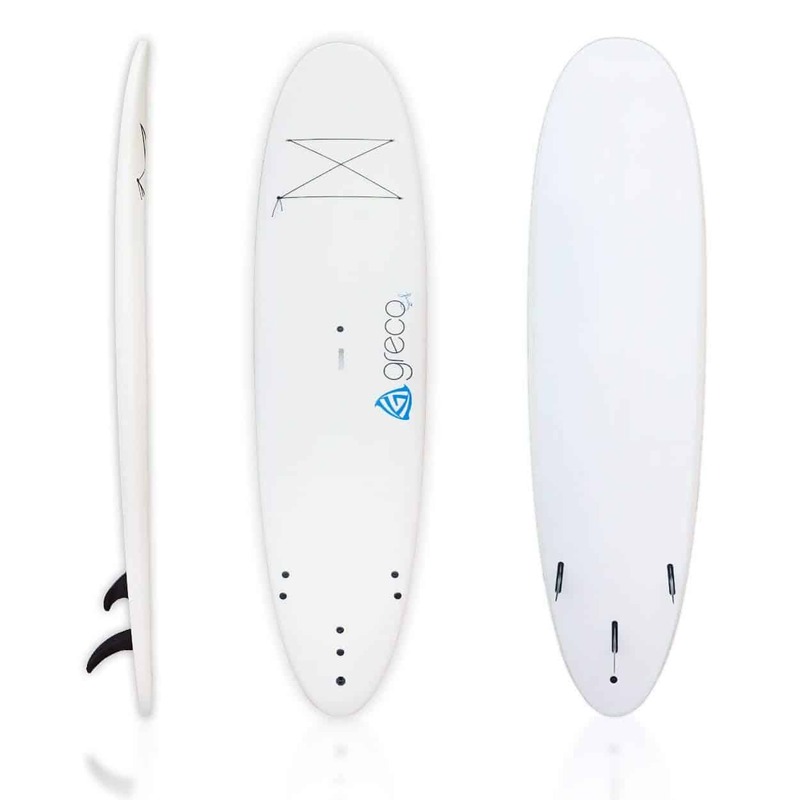 This board is a great package as it comes with a paddle and a pump. 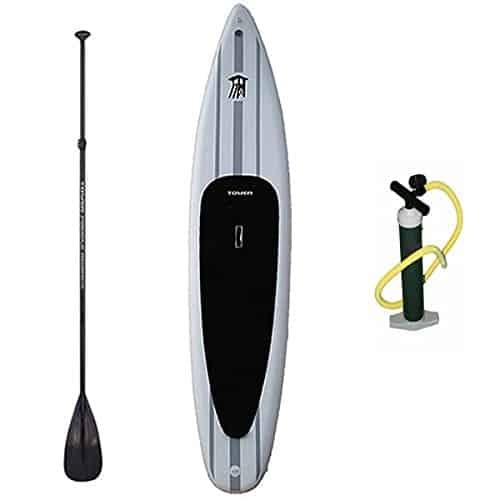 As it is made by one of the biggest brands in the industry, the Tower Xplorer Inflatable SUP is also durable and is made from only the highest quality materials one can find. 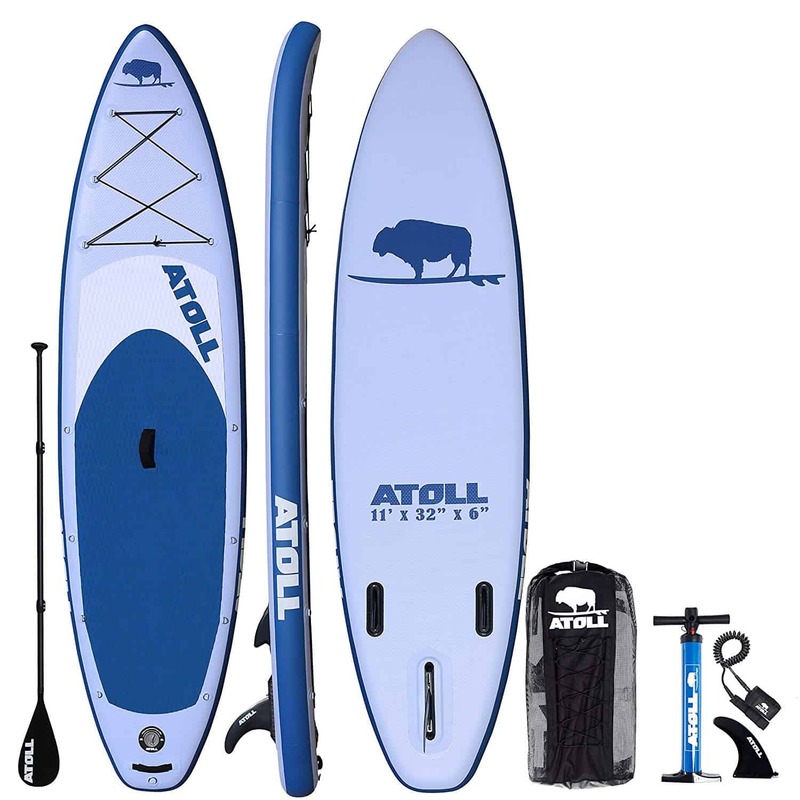 The Atoll 11’ Inflatable Board is one of the most popular SUPs on the market and it is able to carry riders up to 300-350 lbs. The board is also relatively cheaper than other quality products on the market and it offers great value for its durability. It is stable, fast and easy to control. Beyond that, it comes with a large deck and 15 D-rings which could be used to hold down any extra gear which could be safety equipment, or even fishing rods and bait. 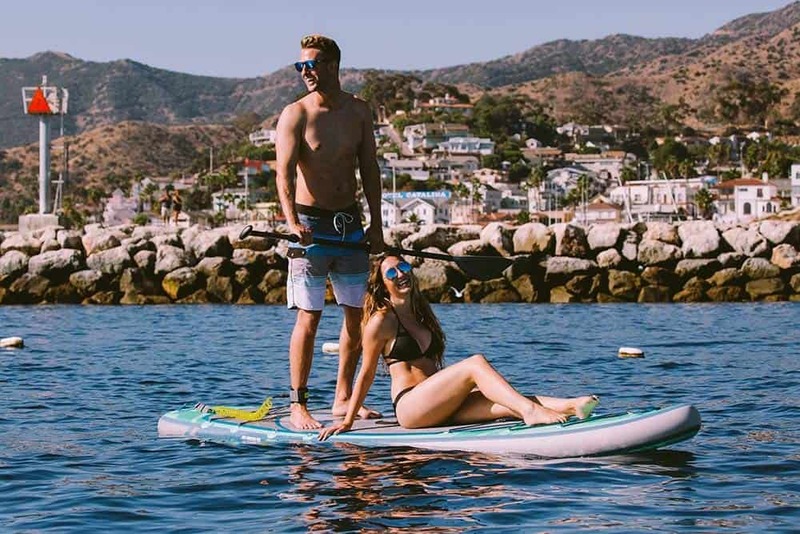 The iRocker is another great option for those that love going paddle boarding with their kids or with a special someone. It is able to withstand around 385 lbs which makes it an ideal sup for heavy riders. What’s great about this board is that it is tailor-made for beginners as it is 6-inches thick so it has high stability. 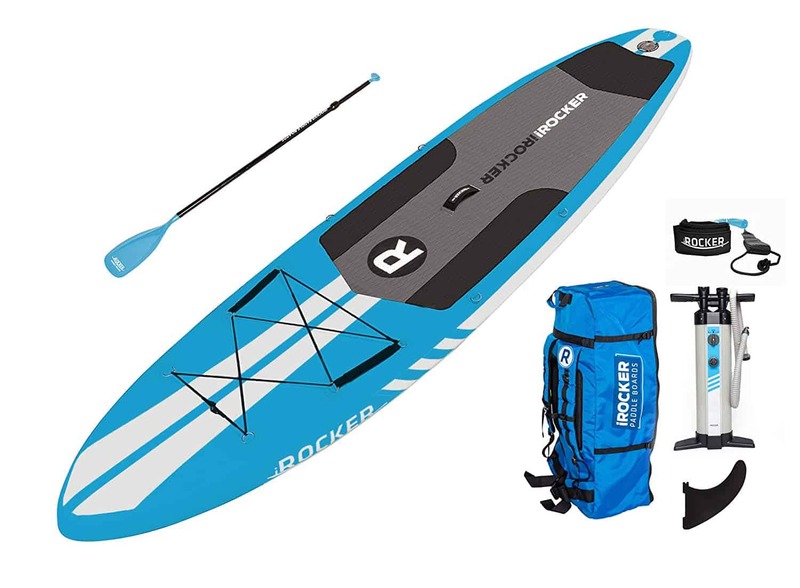 Unlike the Tower Xplorer Inflatable Board, the iRocker Inflatable Board is more versatile and it is not just mainly for touring or racing. Like more inflatable boards, it comes with a pump and other accessories that would put this product to good use. This board from one of the biggest brands in the business is highly regarded for its versatility on the water. It can be used for relaxed and steady-paced rides. It can be used for intense races and paddleboarding as well. The best part is that the board can carry a person who weighs as much as 300 lbs. Manufactured by California Board Co., this board is very durable and is made only from high-quality high-density EPS foam. The main material is light making it easier to go through the waves. Furthermore, the board’s core is completely waterproof so boarders don’t have to worry too much about how long this will last before it gets water damage. This board comes with a few neat features as well. 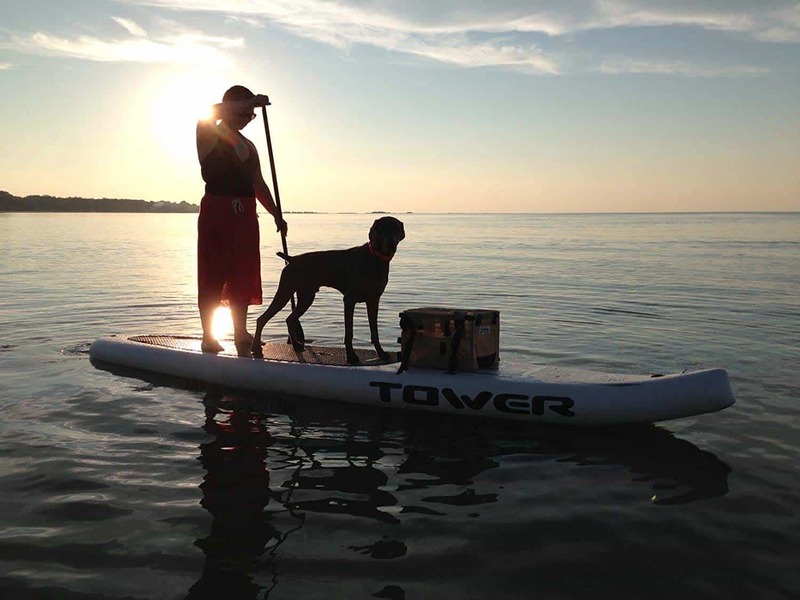 One of the best is a safety leash that paddleboarders can attach to their leg. In the case that they go overboard, they don’t have to worry about losing their board in the ocean. California Board Co. will also throw in an adjustable paddle into the mix. Check For The Best Prices Here..
One of the downsides of most heavy-duty boards is that they are hard to control and that they feel heavy in the water. However, this is where the Hero SUP Dynamo 12’6” Riders becomes different. It handles well on any water condition and it is really fast as well. This has a paddle board weight capacity of at least 350 lbs. of weight which makes it a great sup for big guys. 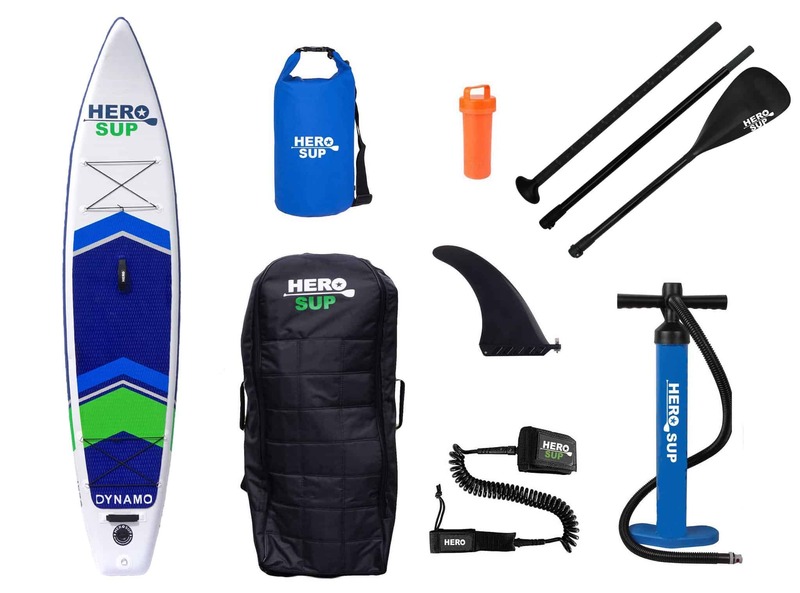 The Hero SUP Dynamo Riders is also suitable for any form of paddleboarding whether it be for a fast-paced trip or a chilling ride. Since it is a little on the thick side, it offers great stability through and through, making it ideal for beginners. 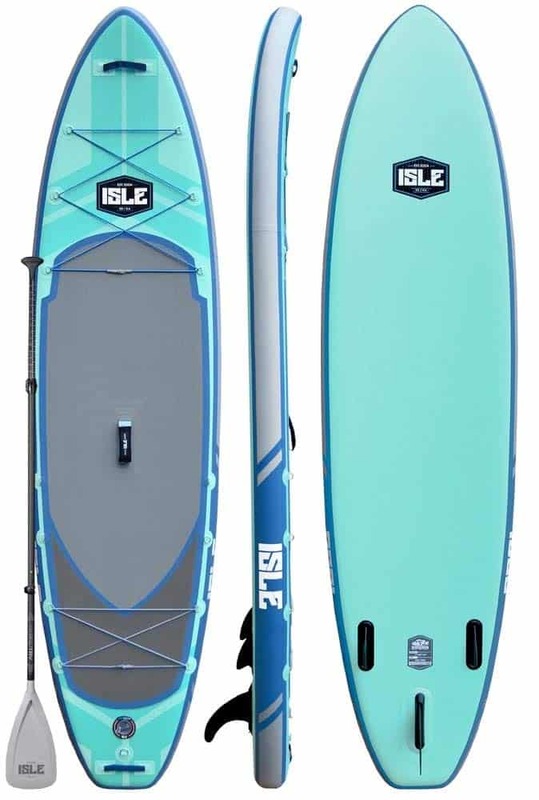 The ISLE Classic Soft Top Paddle Board is sturdy as it has a hard body. Despite the quality and durability of its material, this equipment is relatively cheap. The downside of this SUP board is that it has a low weight limit at only 275 lbs. Another issue is that it is rather slim at 5-inches so the stability is a little on the weak side. On the upside, the ISLE Classic Soft Top is durable and is capable of running under any water conditions. It is a great value for money especially for those who are on the more experienced side of the hobby. 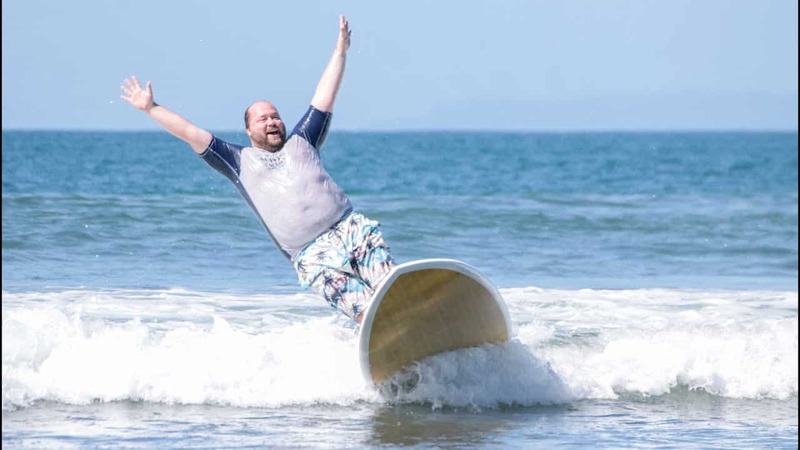 As far as paddle boards for big guys goes, there are some better options. If paddle boarders are looking for something light and easy to handle, then they should not look further than Greco Surf Soft Performance. The core made from light EPS foam while the bottom is made from plastic. It is so light, we’re sure that even kids will be capable of carrying this board one-handed. Boarders shouldn’t be mistaken though, while very light, this board can carry up to 300 pounds of weight. Since it is light, the board is one of the fastest on water. Even a bigger guy will feel the lightness and speed of this board once they use it. It comes with a leash too so even if the rider goes overboard, he can recover quickly. The problem with this board though is that the foam is not as durable as other materials. This means utmost care is required to make sure this board remains intact. Check Current Best Prices Here…. Why Choose The Right Board? First and foremost, paddle boarders should buy equipment that is right for them as this will keep them safe in the waters. If the board is too small, there is a chance that they could overboard or that they could not use it properly. Smaller boards will not be able to handle the weight of huge riders. Furthermore, it will also be harder to balance the board if it is several sizes down what’s recommended. It is also important to know which boards are the best as only the best pieces of equipment are durable and worth every penny. There are many paddle boards for big guys out there but we believe that the ones above are the worth every bang for their buck. We aren’t saying that people should limit their choices to these above but if they see these boards in their local shop, it’s worth giving them a look and feel. The Best Paddle Boards For Big Guys - SUP Review	Overall rating:	5	out of 5 based on 5	reviews.